To replace Guy Harvey-Samuel, the bank has elevated an HSBC veteran to lead the Singapore arm. As the Hongkong and Shanghai Banking Corporation seeks to capture ASEAN business and deepen Singapore's role as a partner in the Belt and Road Initiative, the locally incorporated arm names Mukhtar Hussain as its Chairman and Director, effective October 17th. Mukhtar joined HSBC in 1982 and held many key roles in his long tenure. Before being appointed as the Chairman, he was the Head of Belt and Road Initiative (BRI) for HSBC Asia Pacific since April 2018. Prior to that, he was the Chief Executive Officer for HSBC's businesses in Malaysia - a role he held since 2009. Mukhtar's role will be to spearhead HSBC's regional activity in support of BRI and support Singapore business to further position it as a strategic partner of this multi-decade investment program. Chinese President Xi Jinping is promoting his Belt and Road trade-and-infrastructure program in a bid to expand the nation’s influence abroad. 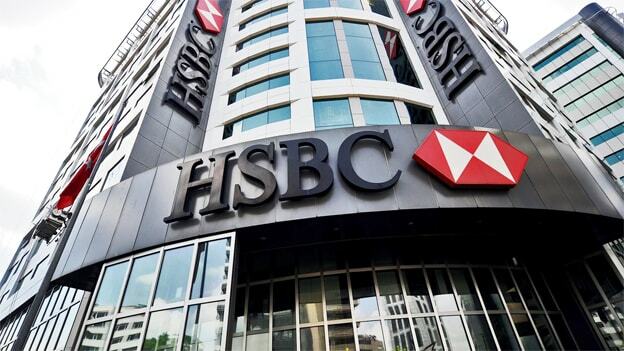 The move provides opportunities for banks including HSBC, which has pledged to shift more than $100bn of capital and boost operations in China as part of its so-called pivot to Asia. Further, his appointment is expected to help boost HSBC Singapore's recently announced three-year country strategic plan, which involves supporting South-east Asia's rising wealth and digital consumption, infrastructure and sustainable finance activity in ASEAN, the growing trade and investment flows moving to the region and supporting Singapore as a hub for ASEAN SMEs and corporates. "On the consumer banking side, we will be able to draw upon his deep regional knowledge to provide effective oversight of our strategy to capture the personal wealth that is flowing from ASEAN markets into Singapore. On the institutional side, his role in spearheading HSBC's regional activity in support of BRI will be invaluable in advising Singapore on how it can further position itself as a strategic partner of this multi-decade investment programme," said Tony Cripps, HSBC's chief executive officer for Singapore. With a new responsibility on his shoulder, Mukhtar excited for his new role said, "I hope that my experience across HSBC, first-hand knowledge of ASEAN, and involvement in key strategic themes for the region and the bank will be able to help steer the strategic direction of the bank in future." Mukhtar would be replacing Director and Chairman Harvey-Samuel Guy Daniel who stepped down from his role. Harvey-Samuel had joined HSBC in 1978 and was appointed an International Manager in 1979. He has since worked in 12 different countries across the world. His various postings have seen him take on senior management roles in Australia, the United Kingdom, Malaysia, Singapore and Hong Kong and he has spent a considerable part of his career performing roles in Global Markets, Consumer Banking and Corporate and Commercial Banking. He was appointed to lead the Singapore's business for the bank in March 2013.